As far as we're concerned, the PSPgo is a slick piece of hardware, but as far as two British game retailers are concerned, it may as well be a poison pie with boogers sprinkled on top. "From my point of view I've got to think, ‘Do I want to stock this?' Right now I can't see any justification for stocking it," says Don McCabe of Brit games retailer Chips, which operates 36 stores across the UK. "Certainly I'm not getting the response from consumers." Chris Harwood, from Grainger Games, is similarly downbeat. He says they only sell five PSPs a week across 21 stores, and with the new model costing £200-£230 (USD$330-$380), expresses doubts over its price. 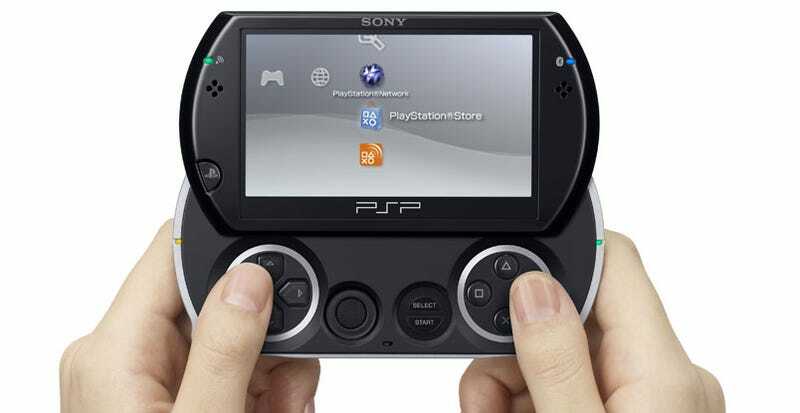 "It seems really high, especially the way PSP's going at the moment," he said. "The models they've got out now are struggling at basically £129, pretty much [the] cost price, which we're putting them out at, and they're not selling through at that. We're trying to do some bundles just to push them through and the PSP just seems to have died as a format really… Nothing sells at the minute on PSP." Interesting! Sure, these are two of the smaller retail chains (they're no GAME), but then, it's only these smaller chains that ever have the ability to speak out on this sort of thing. Wonder how the folks at GameStop/GAME feel about the new handheld?